Graduation is a memorable occasion and should be celebrated in a fashionable graduation dress. If you prefer bold and vibrant, lovely and lace, flared or fitted, or just short and simple we have the styles for you. Check out our large selection of graduation dresses that are perfect to memorialize this momentous occasion. Graduation is coming soon and you already got your outfit and of course your cap and gown. There's only a few finishing touches you have to make before your big day. You're most likely going to be wearing the cap all day...outdoors...taking pictures...during the ceremony...and then even more pictures after. To avoid the dreadful hat hair, plan your hairstyle ahead of time. We pinned some awesome hairstyle suggestions that are cap-friendly to our "Prom Hairstyles" Pinterest board (because they're perfect for prom, too!) that you can check out, with our favorites below. They're simple hairstyles than anyone can do on their own and that are also sure to last you all day. Check them out below! If the actual event is indoors, then you have many options. If you're thinking of letting your hair down, give your hair some body and waves like the examples below. If you're worried about the cap not being able to stay on your head, make sure you bring extra bobby pins to secure the cap in place. Your hair blown out for an outdoor ceremony wouldn't be able to handle the humidity. Natural waves are your best friend. Using hot tools or just hair product can get you that look! When it comes to avoiding hat hair, braids are ideal. Whether you go with the milkmaid style...french...fishtail...or side braid, your hair will stay put all day. Take pictures without worries! Don't know how to braid? Easy! There's plenty of YouTube videos demonstrating how to braid the perfect fishtail..french...you name it you'll find it! For a sleeker look, a half up half down style is another perfect do for graduation. The best part is that it's super simple. You just pull the top section of your hair into a small ponytail and secure it with a hairband or bobby pins. You can even style the ends of your hair into wavy locks or soft curls with a little bit of hairspray to keep it from loosing its shape. You'll be camera-ready all day! However you decide to style your hair for graduation, we're sure you'll look super chic! If you're still looking for your perfect graduation dress, it's definitely not too late, either. So, get your grad look ready and be ready to take lots and lots of photos! This entry was posted in Celebrities, Hair, Graduation and tagged celebrities, celebrity, Wave My Hair, fashion tips, hairstyles, selena gomez, lauren conrad, long hair, short hair, hair, Graduation, Celeb Style, Celebrity Hairstyles, celebrity style, prom hairstyles 2013, tips, Graduation 2013, graduation hairstyles on June 26, 2013 by Marissa. Graduation time is here and you want to throw the greatest grad bash that will have people talking about it for the next year! There's a lot of planning and preparation that goes into these shindigs, and it's definitely time to start! Your grad party won't be the only grad party either...so yours must be extra unique from the rest. So, to help you out, below is a list of some of our favorite fun ideas for an epic graduation party. 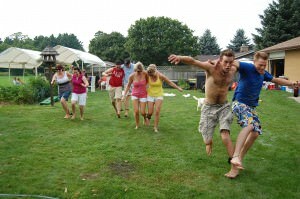 Instead of having the usual BBQ music, why not add activities to make it more exciting? Build teams named after colleges, create a score board with different rounds of games, and have parents be in charge of refereeing. There's endless possibilities to what kinds of games you can incorporate. 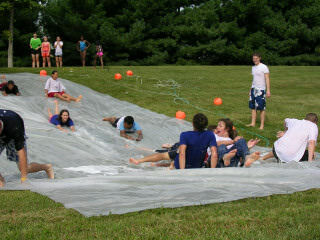 A slip and slide race...a three legged race...a potato sack race...maybe even trivia games! Your party will be the talk of the town! What's a grad bash without snacks?! 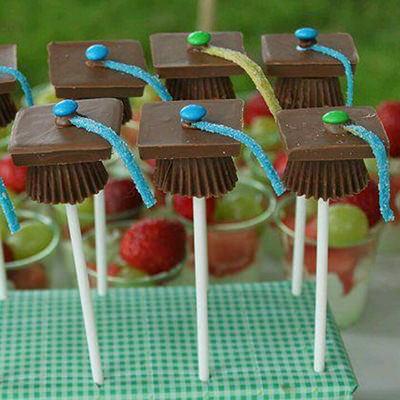 Besides ice cream and BBQ food...get creative and serve some grad themed food. 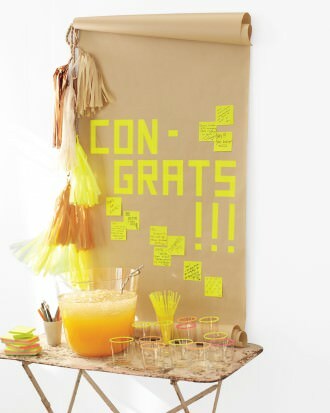 We pinned our favorite graduation themed grubs on our Roo Inspiration & Fun board. The cap pops and edible diplomas look so cute...people won't want to eat them (but they look so yummy that they won't be able to resist!). Below are some of our favorites from Pinterest. Graduation is a time to remember, so make sure the memories are captured at the party, too! Hang a banner at your party that people can sign and leave messages. It can be as simple as hanging a large piece of paper on the wall, or use your creativity to add your own personal touch. We love Martha Stewart's idea of creating a scroll where people can leave messages on sticky notes. 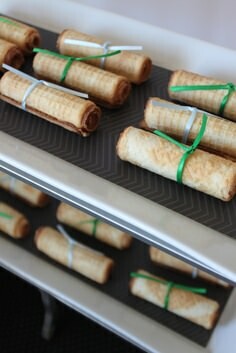 This makes it easy to roll up and save for the grad student as a keepsake when the party's all over! Another great way to add to this idea is to have a polaroid camera available to use at the party. This way, guests are encouraged to take photos, and can even take them home as their own keepsakes, or add them to the message board with a little tape. You can also have a simple, memorable gift for each of the grad students to bring home. Think of something that's either useful for your graduate friends, or that may give them a positive outlook about what the future holds. 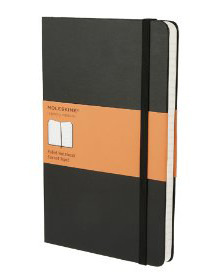 We love the idea of a mini notebook as a gift, like the Moleskin notebooks. It's something that can be carried with you everywhere - from class to the dorm - so that you can always keep track of what you need to do, and maybe even any ideas that you may have for class projects! 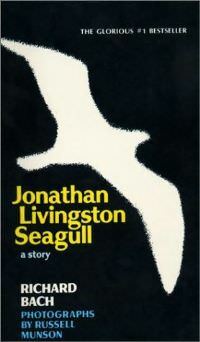 Another great gift is a cute book like Le Petite Prince by Antoine de Saint-Exupery or Jonathan Livingston Seagull by Richard Bach. 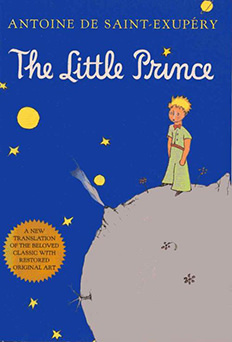 Both are short stories that are seen as children's books, but have great lessons about learning about life and finding one's self. Perfect little gifts to get your friends excited about venturing on to their next journey in life! 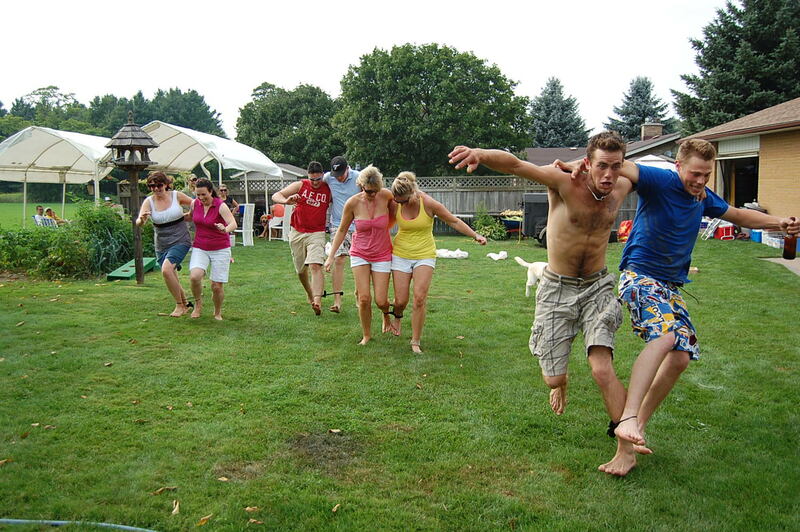 Whatever you decide to do at your graduation party, just make sure to have fun and make it a memorable experience! It may be the last time that you and your high school (or college) friends are all together as a group. This entry was posted in Graduation and tagged cocktail party, Pinterest, Best of Pinterest, party, Graduation 2013 on June 25, 2013 by Marissa. Dresses with sheer bodices and lace detailing have been really popular for Prom 2013, and it was certainly a style to watch at the 2013 Billboard Music Awards, too! The BBMAs were held on Sunday May 19th at the MGM Grand in Las Vegas, and our favorite looks on the blue carpet (yes, blue...not red!) were worn by Ariana Grande and Jennifer Morrison. They both looked so stunning in black sheer and lace pieces that we decided to dedicate our Billboard Music Awards post to them! Check out what they wore below and how you can get their looks for your next formal event. This entry was posted in Celebrities, Lace, Best Dressed, Cocktail Dresses, Graduation, In The News, Little Black Dress, Prom Dresses, Red Carpet and tagged Prom Dresses, Cocktail Dresses, Jovani, Little Black Dress, Red Carpet, celebrities, celebrity, strapless, Prom, cocktail party, Lace Dress, Best Dressed Celebrities, Celebrity Inspired Dresses, Prom dress, party dresses, Cocktail, lace, Jovani Prom, Red Carpet Fashion, Graduation, Celeb Style, party dress, cocktail dress, celebrity style, strapless dress, LBD, Celebrity Fashion, jovani dress, flower dress, Little Black Lace Dress, celebrity dresses, short strapless dress, prom 2013, party, Strapless Dresses, sheer dresses, Graduation 2013, Billboard Music Awards, BBMA, Ariana Grande, Jennifer Morrison on May 20, 2013 by Chrissy Roos.